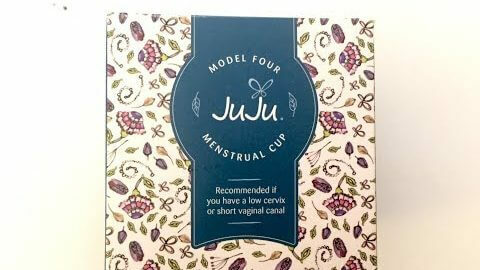 I absolutely love this cup. 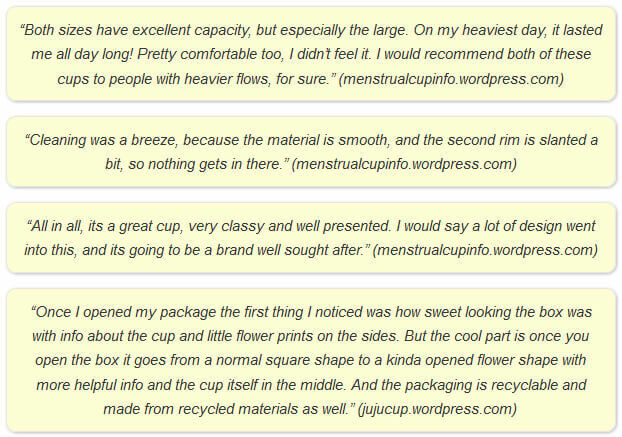 I found other cups with the tab style stem irritated me. 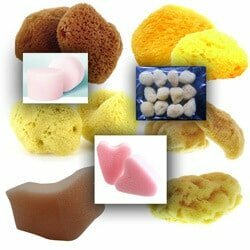 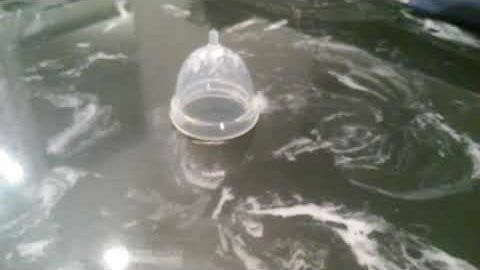 It’s very smooth and easy to clean. 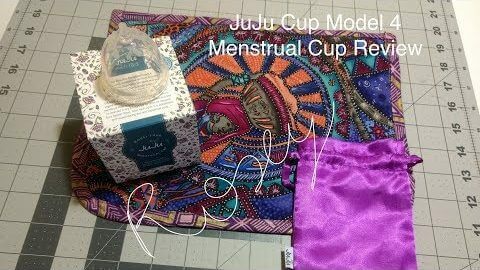 I can tell it’s good quality. 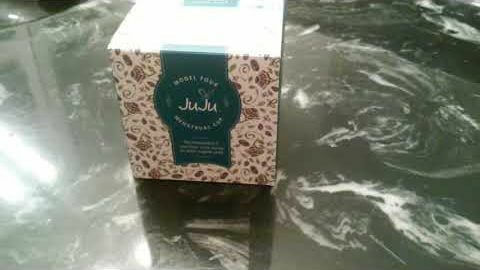 I’m Australian so like that it is Australian made too as this further reduces my eco-footprint buying local. 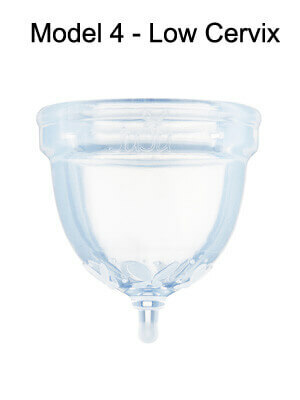 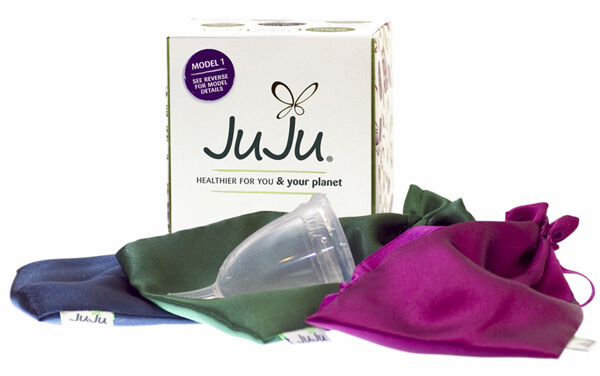 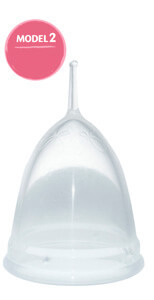 I’ve used other menstrual cups before, but after giving the Juju a shot, I’m sold on them. 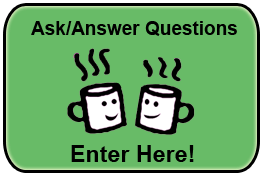 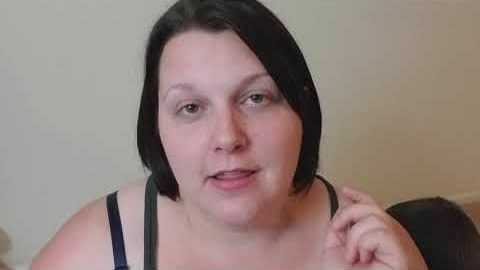 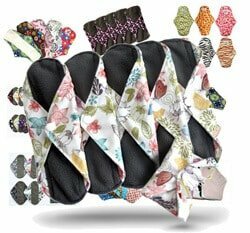 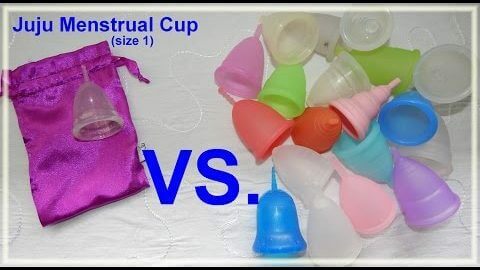 I have both a small and large cup, and while I don’t have children, I’ve found the large cup fits fine and is comfortable, and because I have a few pretty heavy days, it tends to not leak like the smaller cup can. 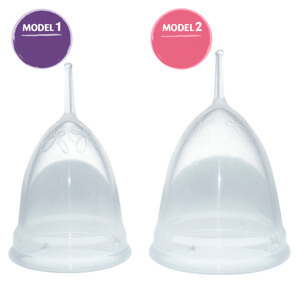 Both sizes are very comfortable (vs. the stem on the Diva) and easy to insert. 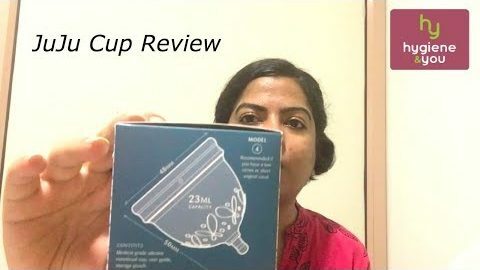 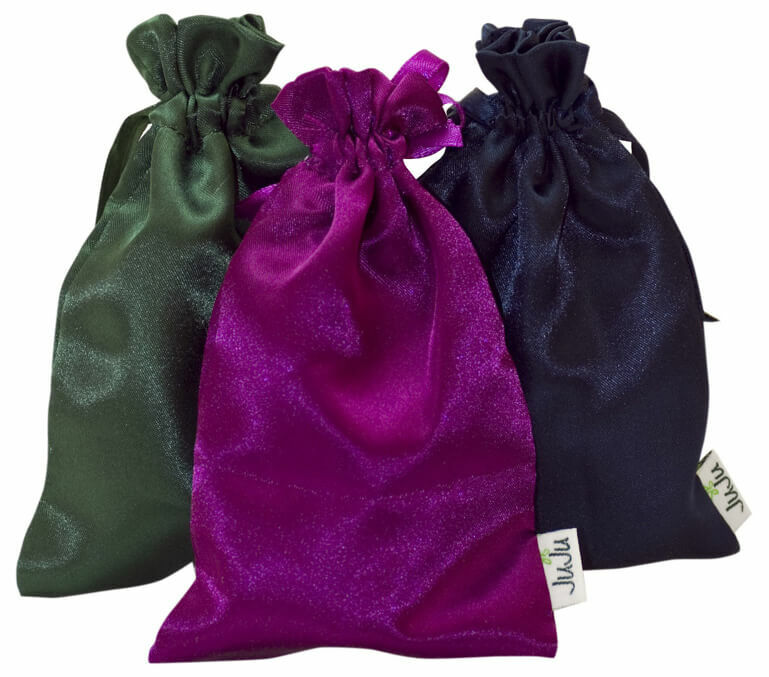 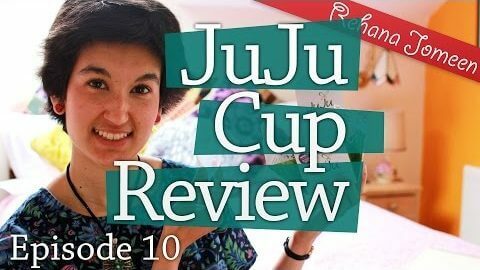 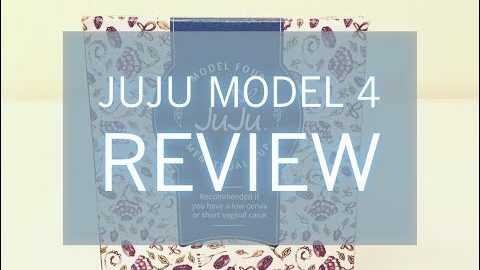 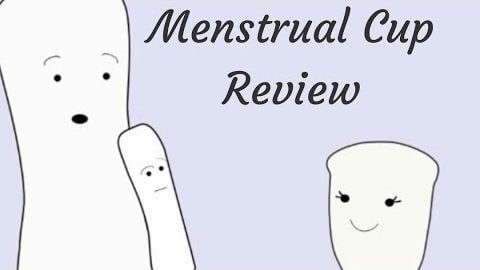 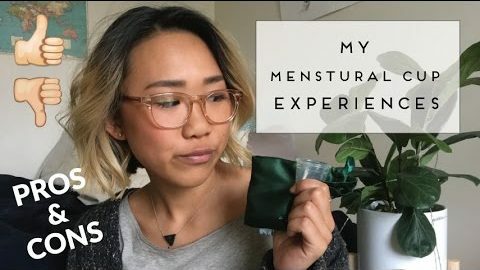 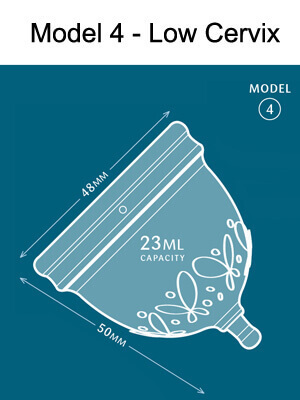 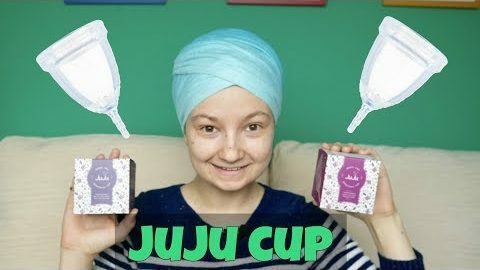 I’d definitely recommend the Juju to any friends thinking about trying out a menstrual cup. 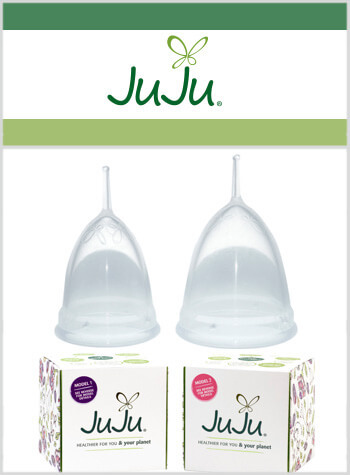 I love JuJu and recommend to all my friends! 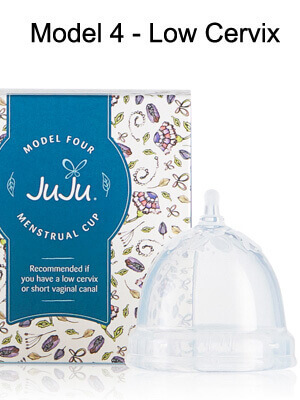 Gorgeous packaging, the cup has a great sleek design and clear instructions.